Only some goldfishing, which had some initially promising results. Right now my LGS is infested with big mana (Amulet, Tron), Phoenix, GBx, Burn and Jeskai Tempo/Control. Besides Burn, I can't say for sure which of those matchups are in my favor, and right now I'm hunting for a good deck that'll punish Amulet especially. I already own Ponza and Red Prison but I'd rather take a break from em. Thank you for the tips! How many lands should I go up to, 22 or 23? So after discovering some cards I didn't realize I had while also discovering I lacked play sets of others, here's my updated list that I'm bringing to a side event tomorrow at GP LA. Will try and report back my results! I'll definitely give Merfolk a try at the side event I'm going to on Friday. If things go well (I've got a good feeling), I'm gonna go back to the Fish for the main event on Saturday. I've seen some recent lists not run the full four Spreading Seas in main because of all the island based decks. I have both decks and originally started out as a Death & Taxes player, so I'll try and do a little blurb on both. Also read the primers for both decks, the two threads have excellent writers, and make sure to watch some YouTube gameplay of both. +Is easier to pilot than BW Eldrazi Taxes. +Almost all of the creatures have flying; the natural evasion is VERY difficult for many decks to deal with. +Manabase is more stable thanks to the ability to fetch all 3 colors and having no colorless mana restrictions. +With Noble Hierarchs/Birds of Paradise (budget), you can pull off some nutty plays like a turn 2 Geist of Saint Traft or a turn 3 Collected Company. +The deck plays at instant speed, through Aether Vial, creatures with flash, and Collected Company, making removal and counters much more difficult for your opponent, also lets you bluff or fake out an opponent just by leaving lands/mana up. +Since most lists runs about 10 or less non-creature spells, Bant Spirits is largely resistant to decks that focus on punishing non-creature spells, and will not necessarily lose if you're unable to play Vial or Company, or one of them gets Surgically Extracted. +Creatures have powerful abilities that allow for interaction with the opponent or protecting your board state, such as Spell Queller, Mausoleum Wanderer, Rattlechains, and Selfless Spirit, while acting as additional threats in the meanwhile. +The primary lord, Drogskol Captain, is capable of creating a "soft lock" where playing two will give all your spirits Hexproof, making them immune to everything except bigger creatures, sacrifice effects, or boardwipes. +Playing Green, Blue, and White gives us access to some of the best sideboard cards in the game, such as Rest in Peace, Stony Silence, Knight of Autumn, and counterspells such as Ceremonious Rejection, Unified Will, and Disdainful Stroke. -Limited interaction with your opponent outside of creatures. Pre-board, there aren't many options for dealing with non-instant/sorcery spells outside of Spell Queller or Deputy of Detention. Furthermore, many of your creatures' interactions occur only once upon ETB, such as Spell Queller or Deputy of Detention, or require sacrifices to be used, such as Mausoleum Wanderer or Selfless Spirit. This can make matchups against big mana decks such as Tron or Amulet Titan, or combo decks like Storm, into races. -As a creature-based tempo deck, boardwipes can cripple us if we dump everything onto the field or have no means of interacting with them through a Queller. -In addition to the above point, the strength of the deck is manifested in our board state; if we're unable to maintain a good number of creatures, our deck loses out on power. -Manabase is three color, therefore you will be pinging yourself through shocks and fetches. Sometimes you might also have a hand you can't play due to color restrictions, and depending on the boardstate/lands we have, a Blood Moon can be crippling. -$$$$$$$$ - Many of the most important cards in the deck are expensive, such as Noble Hierarch, Aether Vial, Collected Company, and the manabase. +Has access to some incredibly powerful creatures main deck, such as Thalia, Guardian of Thraben, Thought-Knot Seer, Dark Confidant and Tidehollow Sculler. Furthermore, your white creatures serve as taxes that cannot be dodged until said creatures are killed or otherwise dealt with, as opposed to Spirits where their creatures usually only trigger their interaction with the opponent once. +A lot of the creatures are incredibly synergistic. Tidehollow Sculler can steal a card from your opponent/Flickerwisp can remove a card for a turn, allowing you to process the removed card with Wasteland Strangler. Not only does the exiled card go into the opponent's graveyard, but you've also killed one of their creatures! Using Leonin Arbiter, Path to Exile becomes arguably the best removal spell ever printed in Magic, and Ghost Quarter becomes a better Wasteland. +Since the deck runs a fair bit of hand disruption, you usually have an idea of what your opponent has in hand; perfect information is one of the most powerful assets in Magic. +Through Aether Vial allowing instant speed, uncounterable creatures, the deck is able to cripple opponents for making common Modern plays. Flashing in a Leonin Arbiter when they fetch usually means an opponent has time-walked themselves on mana and lost a life to boot. You can also flash in Tidehollow Skuller after they've drawn for the turn and steal their newest card. Another trick is one of the most complicated interactions in the deck, but flickering a Tidehollow Sculler with a vialed in Flickerwisp or through a Restoration Angel allows you to permanently remove one of your opponent's cards and steal another one. +Has more powerful finishers through Eldrazi than regular Death and Taxes, as Thought-Knot Seer is a 4/4 that can come down on turn 3 or even turn 2 depending on how many Eldrazi Temples you have online. Eldrazi Displacer also allows you to continuously recycle your own ETB effects, which can be incredibly powerful depending on the build you play. +White has some of the best sideboard cards in Magic, while black offers removal and hand disruption through cards like Fatal Push, Inquisition of Kozilek, and Thoughtseize. Kambal, Consul of Allocation is also an excellent card that punishes a wide range of decks for playing non-creature spells. -The manabase. In my opinion, BW Eldrazi & Taxes has one of the worst, if not THE worst manabases in all of Modern. This is compounded by the fact that a good number of your creatures require colorless mana to be played or to activate their effects, and you cannot run fetches due to the nature of Leonin Arbiter. While Aether Vial can alleviate some of this, it also means that losing a Vial can be crippling or even game-ending depending on your mana situation, compared to Spirits or Merfolk where losing a Vial is annoying but not a serious loss. Essentially, you're playing a three color deck with no fetches, mana dorks, or other means of fixing your mana. I've lost games due to not having mana when I've needed it, or drawing it too late. Hitting my own lands with Ghost Quarter to fix mana is not an uncommon situation. Also, Blood Moon can be virtually game-ending, and Merfolk can be considered a poor matchup due to their ability to turn your lands into Islands through Sea's Claim and Spreading Seas, while also becoming unblockable. 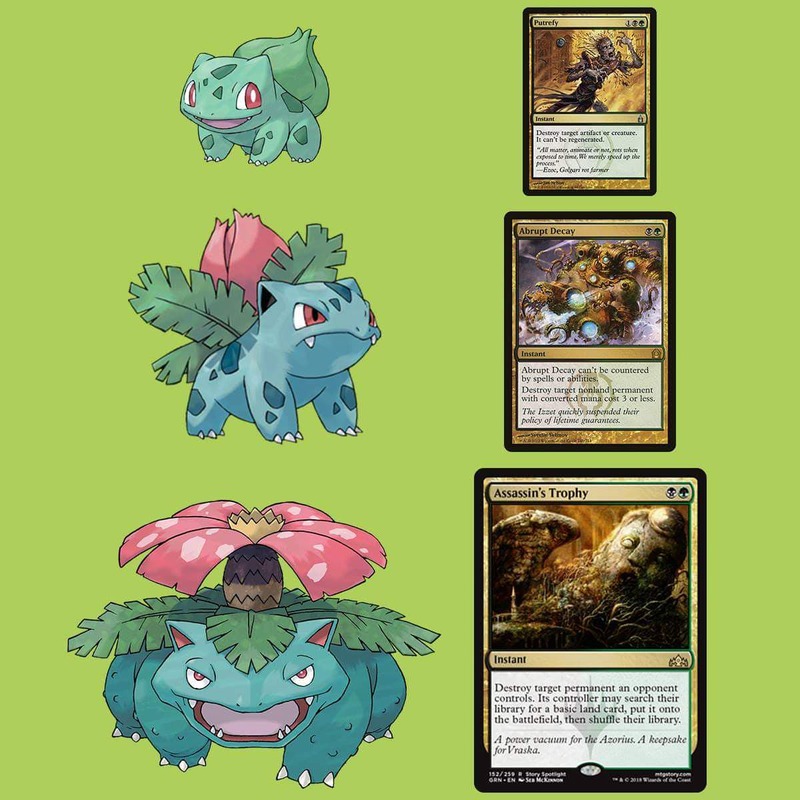 -Playing any Taxes style deck requires knowledge about the current metagame, popular decks, and common creatures/spells. The more you make an effort to learn the meta and how Taxes interacts with them, the better you will do. However, the reverse is also true. This is a deck that demands smart decision-making, sequencing, knowledge of triggers and the stack, and match-up knowledge. If you lack any of the aforementioned, matches will be that much more difficult for you. -Like Bant Spirits, the majority of your interaction and game plan comes from having creatures on the battlefield. This deck shares the same weakness of Spirits, Merfolk, and other creature-based decks to sweepers and mass removal. -Unlike Spirits or Merfolk, almost none of your creatures have flying or similar means of evasion, and your main win con is still beating your opponent down with creatures. This can lead to stalemates or even losses if your opponent has something like Ensnaring Bridge or an equal number of creatures. Furthermore, your taxes are creature-based, which means chump blocks can significantly hurt you if you use an Arbiter or Thalia to block your opponent's Death's Shadow or Awoken Horror. -Your creatures also cannot get nearly as huge as Spirits or Merfolk as you possess no lords, which requires smarter decisions about combat. Hope this helped inform you about the decks! Post in both threads if you need more advice or commentary, and have fun! Relic's synergy with Eternal Scourge is too good to pass up, imo. I'd only run Leylines in a meta with a lot of Dredge. Plus getting stuck with Leylines in hand feels real bad. Tried to make a preliminary Mindslaver list using the A-Ruins/Mindslaver lock as an additional win con, thoughts? I actually really like that ruins can get gearhulk back, I hadn't considered that. I think gearhulk mostly dies to exile removal like path/settle, but it's still great for inevitability. As for the mindslaver lock, it's 12 mana to continuously recur it (2 for ruins activation, 6 for mind slaver, 4 to activate slaver) and while it is cheaper than the nexus chain sometimes (7 mana for nexus, 4 or 6 to tutor it with teachings is 11 or 13 mana total) do you think those slots would be better suited by another engine that has more synergy with the rest of the deck? Granted I often need to teachings for another teachings to keep my chains going, so I often need 2 reclamations out before I can "go off" but I'm thinking these could be several different win cons. The above is a great resource for combo engines. This is def worth a browse when you get a free 30 minutes. FWIW Soulfire Grand Master seems absolutely bonkers in this deck if you can keep her alive. It's 13 mana to start the chain, 11 to keep it going with just her and a nexus in hand. You can EoT teachings out the nexus to go off on your turn if you have the mana. It does require a splash though. So I just stumbled upon Mnemonic Betrayal and I'm wondering how the return to graveyard trigger works with Wilderness Reclamation, because I kind of want to try using this in a control mirror if there's a way to get all the extra mana before the exiled cards return to the grave. You control all relevant triggers, so you should be able to stack them in the order you want. So you'd stack this, then the Recs. Resolve recs, floating mana, then cast w/e and resolve this. It is, but the opportunity cost to land it early is really harsh. You usually need your first 4-5 turns to stabilise the game and Search doesn't help to do it. So you would want to land it at a time period, where Mystical Teachings is already up and running which is usually better than Search (cause you find exactly what you need). It is only better in the late game where we run low on Teachings to find us stuff, so that we have any form of mana sink. That is at least what I found out about Search, when I tested it. RIP well thanks for the info, in hindsight she does seem like a win more rather than "here's another way to win", sadly. Someone mentioned earlier in the thread that they thought Search for Azcanta was too clunky for this deck, can someone elaborate on why we don't run it? I would think the extra filtering is helpful. I think search suffers from a lot of what nissa suffers from. Turns 2-3 are critical for us to either ramp or interact, which is the ideal turn to drop it. I very often run quite low on cards before I can switch gears and start killing my opponent and this would be a dead card until I start to land multiple reclamations. At that point the card is great for digging, but not super impactful because once you start chaining you're already set up to win. I've had plenty of turns where I use every bit of like 18 mana (which is insane and feels great). I dunno if I'd even bother activating it on some turns like where I start firing off a nexus, tutor for my nexus and casting it again. That being said, I could def see it for a control heavy meta because you'll have breathing room to actually use it from time to time. Gl resolving a reclamation against hard control though lol. My gut says 1-2, basically replacing any main deck copies of Collective Brutality. It really is great how diverse the 2 CMC removal spot has become, between Assassin's Trophy, Abrupt Decay, Collective Brutality, and Triumph you can really round out your removal nicely. The new card Neheb, Dreadhorde Champion might be useful for us. Above the curve in power, and he has filtering ability to keep the gas coming. With ramp, we can get him out turn 3 or even turn 2. I don't think I want to lose a card to Gemstone Caverns, as I typically play this deck like a control deck. And if I want a land that produces colourless mana only, I'd play a 2nd Field of Ruin. I typically win through combat damage, plinking opponents to death with Snapcaster and Creeping Tar Pit. I've drawn my deck with USZ and taken infinite turns way more often than I've virtually milled my opponent by pointing USZ at them.